The Coptic Gnostic narrative theme which attempts to explain the dilemma of humanity’s predicament as a realm of intelligence amidst many realms of Life, both visible and invisible. It also emphasizes the role of female disciples in the ministry of Jesus the Christ. The later chapters contain much information concerning the soul and its origin: exploring how the soul comes to birth through the Virgin of Light and departs from earth-life. 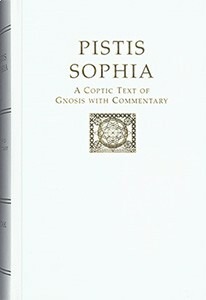 The text also explains how the soul works within the Light-power and the spiritual elements in humanity, all being connected with the strivings of Wisdom/Sophia.